According to a May press release from the California Wine Institute at www.wineinstitute.org, sales of California wines have increased for the sixth year in a row, climbing to a retail value of $35.2 billion in 2017. 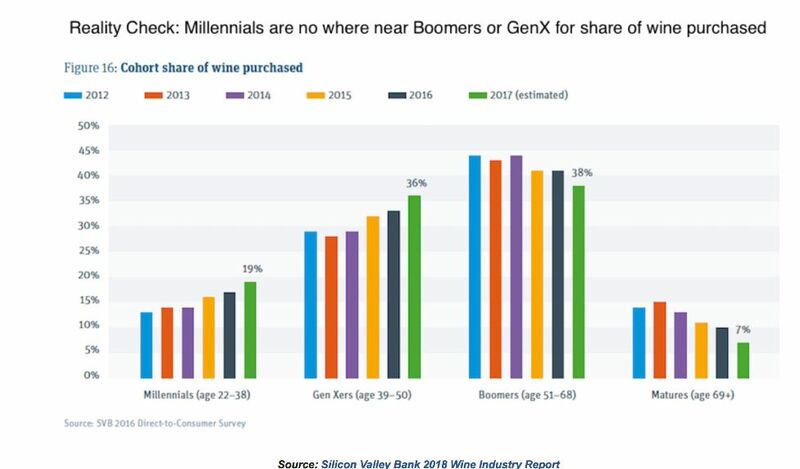 The growth in sales came primarily from premium wines priced over $10, indicating consumers are trading up to higher-priced premium wines.. The data was culled by the BW166 and the Wine Institute. 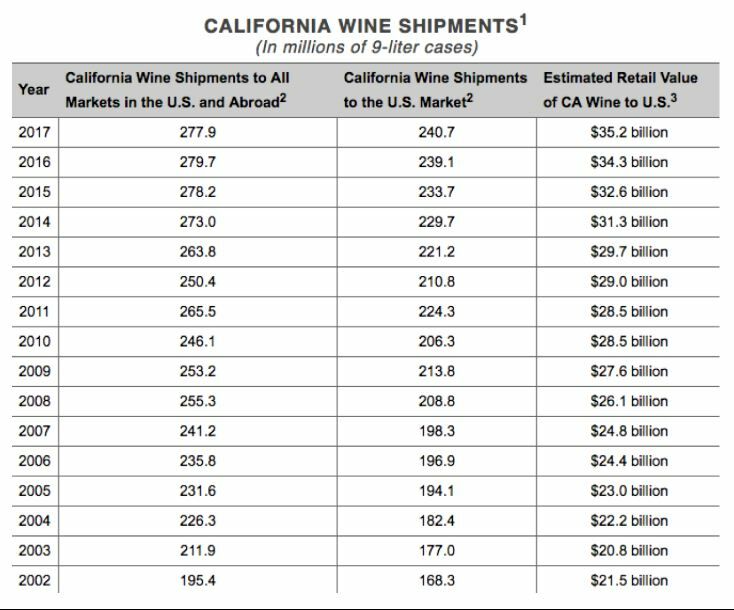 In 2017, California wineries shipped 241 million cases to the U.S., a 60% share of the U.S. wine market. Total U.S. wine exports were $1.5 billion, over 90% from California. California continues to be the #1 wine producing state in the U.S. and the world’s 4th largest winemaker. According to Nielsen, top-selling varietals in the off-premise category by volume are Chardonnay, Cabernet Sauvignon, Red Blends, Pinot Grigio/Gris, Pinot Noir, Sauvignon Blanc, Merlot, Moscato/Muscat, Rosé and White Zinfandel. 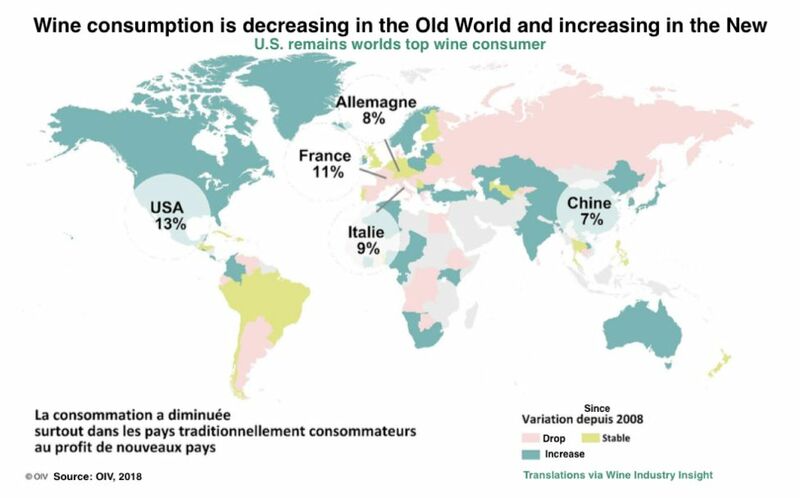 Interestingly, while wine consumption increases in the New World, with the U.S. as the world’s top wine consumer, wine consumption is decreasing in the Old World.